The ability to optimize Supply Chain performance depends heavily on the ability to execute in the last 100 feet (backroom to shelf). While improvements have been made in systems and technology, significant issues remain due to delays, inaccuracies and poor in store execution. These factors lead to poor on shelf availability and a significant increase in cost (inventory and labor) for the retailer. Improved execution in the last 100 feet, provides one of the greatest opportunities for growth. 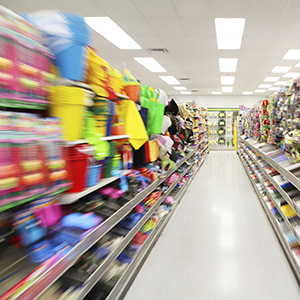 TPG understands how to help Suppliers and Retailers improve performance in the last 100 feet.